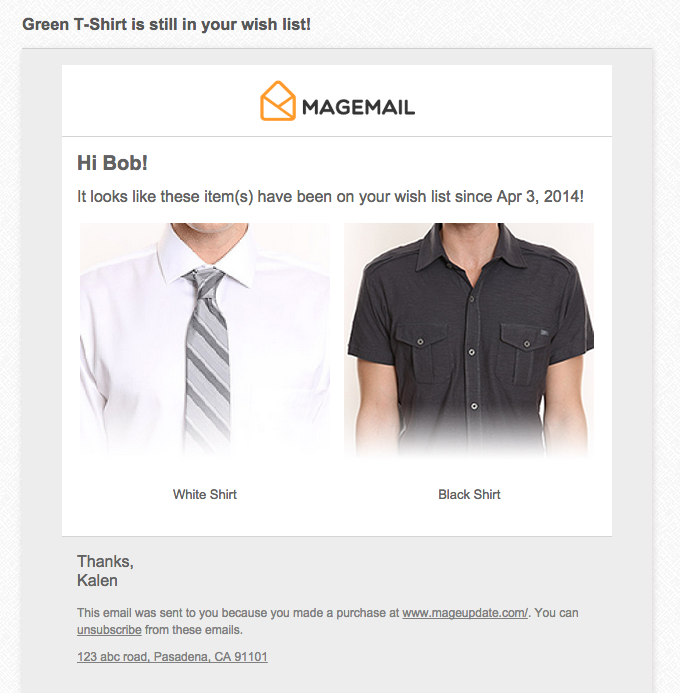 The wishlist reminder email goes out to customers who have had items in their wishlist for a while. This is a great email to send, because they've already demonstrated a strong interest in these products - and if it's been a few months since they've done that, it can be a great time to contact them and see if they're ready to buy. Also, you can consider triggering these emails when inventory for the products in question are low.